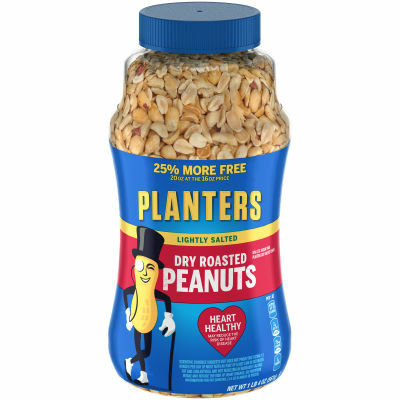 Planters Lightly Salted Dry Roasted Peanuts are a health-conscious snack you can enjoy any time of the day. Made without oil and 50% less sodium than Planters Dry Roasted Peanuts, these flavorful nuts provide the salty flavor you crave from a sprinkle of sea salt. - This nutrient dense snack will give you the pick me up you need whether you’re at home or on-the-go.